DENVER — Historically strong crush margins in recent years have driven the U.S. soybean processing industry into its biggest expansion phase in 20 years. Two new processing plants are expected to start production by the end of 2019, with a third expected to begin production by the end of 2021. According to a new report from CoBank's Knowledge Exchange Division, the short-term outlook for U.S. soybean processors remains bright, but profitability could be threatened by the end of 2019 as a result of the new production capacity. "Combined, the three new plants are expected to increase overall U.S. production capacity by at least 6 percent," said Will Secor, grain and farm supply economist at CoBank. "That amounts to approximately 120 million bushels per year. This new capacity would make it possible to produce nearly 2.8 million tons of soybean meal and more than 1.4 billion pounds of soybean oil." The two new processing plants expected to come online in 2019 will be located in Michigan and South Dakota. The third new plant expected by the end of 2021 will be built in North Dakota. However, Secor said the development and timing of that plant is dependent on adequate funding being secured. "The mid to long-term outlook for soybean processors remains one of cautious optimism," Secor said. "The pressure will come from this additional capacity. Domestic soybean meal consumers will not be able to absorb all of the new production immediately. If overseas demand for soybean meal and oil doesn't increase to match the growth in U.S. production, prices of soybean meal and oil in the U.S. will likely decline." Negative margin impacts could be short-lived. 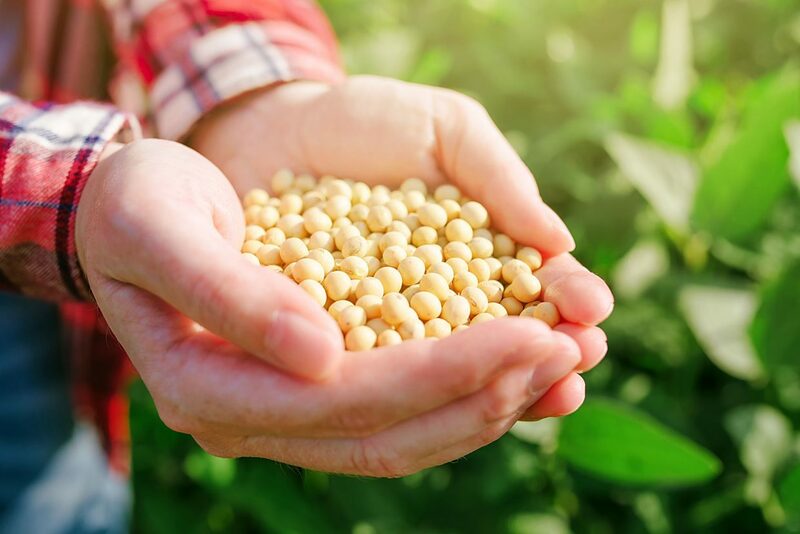 Additional soybean meal production could be absorbed in the U.S. and abroad within five years, and additional soybean oil could be absorbed by domestic users within two years after the new plants in Michigan and South Dakota come online. Secor said the risk for soybean processors is that slower consumption growth could stretch those timeframes for several years. Soybean product users in the U.S. and abroad are absorbing a record domestic crush this year, as U.S. processors have responded to the extraordinary margin environment and amid Argentina's production shortfall. However, the new U.S. processing capacity will likely cause some growing pains for the industry domestically, if global crush does not experience major production problems like last year. "The recent run-up in soybean crush margins has likely left processors well-positioned to manage those growing pains," Secor said. "Many processors have invested those profits to pay cash for capital expenditures, which reduces their cost structures. Crushers that built cash reserves during the margin spike will also be able to tap those resources to help them through downturns." Soybean meal flows will likely change as a result of the new capacity. The two new plants being built in North and South Dakota will likely focus more intensely on exports due to a relatively small local feed demand base. These plants will soak up more soybeans that were destined for other processors within the U.S. or for exports. The plant in South Dakota is also well-positioned to absorb excess soybean supplies in the short-run if the U.S.-China trade dispute continues. This is a positive for the processing plants buying relatively cheap soybeans, and a silver lining for local farmers who benefit from increased marketing opportunities and potentially stronger basis. Longer term, both plants in the Dakotas will be a positive for farmers as trade relations with China normalize, and the new soybean processing plants will provide basis support. However, this same basis support may pressure local grain elevators competing for soybeans at harvest.